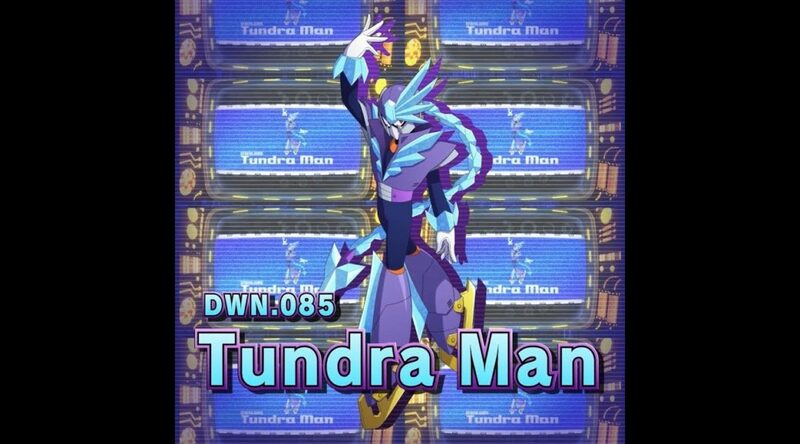 To kick off Tokyo Game Show 2018, Capcom has uploaded a new trailer for Tundra Man, one of the bosses appearing in Mega Man 11. Mega Man 11 launches October 2 for Nintendo Switch. Accompanying the trailer are new details and screenshots of Tundra Man. Check them out below. ”Want to dance? Feel freeze!” Tundra Man, a Robot Master with a penchant for ice skating and a flair for the theatric, has just been revealed for Mega Man 11! This elegant boss is sure to be a fan favorite, so read on for more about the marvelous Robot Master and his sinister stage set in a museum that’s been frozen to its core. In a past life, Tundra Man was a surveying robot, designed to keep track of various environmental changes in some of the coldest places on the planet. With no one else around except a few animals and a television to keep him company, Tundra Man found a new purpose watching an ice skating championship on TV. Ever since that fateful day, Tundra Man has dedicated his life to the fine art of figure skating, and now claims a frozen museum as his new lair with the hopes of one day displaying his icy art form to the world. Defeating Tundra Man will equip you with Tundra Storm, channeling Tundra Man’s graceful aerial twists to create a column of icy winds in an attack that can hit enemies above and below the Blue Bomber. If you really want to send your foes into a deep freeze, turn on the Power Gear for a frozen blast that covers the entire screen!